UNICOIL’s quality policy is a reflection of its commitment to earn the trust and satisfaction of its customers. The quality system at UNICOIL ensures strict adherence to both international and national standards, and UNICOIL is accredited with the following quality marks: Saudi Quality Mark (Saudi Standards, Metrology, and Quality Organization), EQM (Emirates Quality Mark, from The Emirates Authority for Standardization and Metrology [EASM]), and JQM (Jordanian Quality Mark, from the Jordan Standards and Metrology Organization [JSMO]), and Kuwaiti Quality Mark (KQM) from Kuwait Ministry of Commerce & Industry for its products. UNICOIL quality system aims to achieve excellence by adopting a continual improvement approach. In recognition of its efforts, UNICOIL achieved ISO 9001 certification in 2003 and has maintained a clean record through all of its operations. UNICOIL is highly customer-focused and is aware of the needs of its customers in terms of quality, service, and aspirations. UNICOIL has a team of highly qualified people with international exposure who can respond quickly to customers making contact and provide outstanding customer service. The UNICOIL laboratory is equipped with state-of-the-art test equipment for assuring conformance with all statutory and customer requirements. The Research and Development wing of UNICOIL is continually developing new products and also assists UNICOIL customers in investigating failures. UNICOIL carries out long-term performance tests to ensure the longevity of the products it provides to its customers. ISO (International Organization for Standardization) is an independent, nongovernmental membership organization and the world’s largest developer of voluntary international standards. ISO is made up of 162 member countries, who constitute the national standards bodies around the world, with a central secretariat based in Geneva, Switzerland. The Saudi Arabian Standards Organization, set up in 1972 (1392 AH), has responsibility for determining and enforcing approved standards of services, facilities, utilities, and products within the Kingdom of Saudi Arabia. The JSMO was established as a public organization with financial and administrative autonomy in accordance with the Standards and Metrology Law No. 15 for 1994, amended in accordance with Law No. 22 for 2000. Prior to that, the organization had been one of the directorates in the Ministry of Industry and Trade. Standardization activities in Kuwait began in 1967, within a unit of the Ministry of commerce & Industry which became a Department after the law no. 128 for standardization was issued in 1977. The Department was transferred to the Public Authority for Industry in 1996 and became a sector for Standards and Industrial services including two Departments, one for standards & Metrology and the other for quality laboratories. UNICOIL is an active member of various reputed institutions specializing in galvanized and prepainted steel coils and sheets. These institutions support members by providing information about the latest developments in steel and coating technologies and product application trends via scientific videos, technical literature, and by organizing periodic meetings for exchanging knowledge, market information, and changes in regulations related to the business or product that serves in the best interests of UNICOIL and its customers. 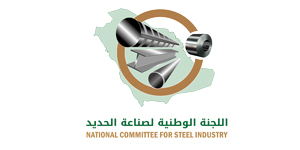 Emanated from the Council of Saudi Chambers in 2015 to oversee the activities and directions of this strategic industry and to play a key role towards achieving Saudi Vision 2030, NCSI is a non-profit body and its members are the leaders of Saudi steel industry. Provide information regarding business opportunities that address the changing needs in the marketplace. Provide educational resources and assist its members in producing superior products and services to their customers. 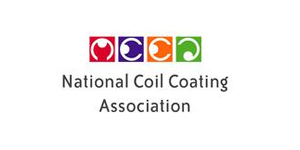 Increase the awareness of coil coating in the industry. The Galvanizers Association was established in the USA and is now a worldwide organization with nearly 150 member companies. These companies are producers of galvanized continuous iron and steel sheets and pipes, and their suppliers. Meetings of the Galvanizers Association provides a forum for discussing topics pertaining to general galvanizing problems in order to advance the quality of galvanized products, thereby increasing their public acceptance. ASTM International is a globally recognized leader in the development and delivery of voluntary consensus standards. UNICOIL is an active member of ASTM International with voting rights. Combined with our innovative business services, ASTM standards enhance performance and help everyone have confidence in the things they buy and use – from the toy in a child’s hand to the aircraft overhead. Working across borders, disciplines and industries ASTM harnesses the expertise of over 30,000 members to create consensus and improve performance in manufacturing and materials, products and processes, systems and services. The Arab Iron and Steel Union was established in Algeria in 1971 as a first specific Arab Union interested in the development and growth of the Arab iron and steel industry. It is a non-governmental organization of a special entity having no political nature nor commercial character. It is involved in the field of preparing studies, organizing courses and holding conferences for the sake of the prosperity of the Arab iron and steel industry. It assists its members in their economic, technical and technological progress. The fields of the activity of the Union include the sectors of the extracting and manufacturing iron and steel industries according to the determinants of the standards and classifications internationally recognized and practiced. 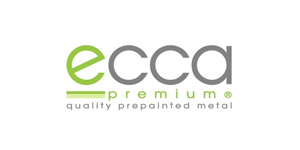 The European Coil Coating Association (ECCA) was founded in 1967 and is based in Brussels. It has over 200 members spread over 18 countries and extraordinary members worldwide. Representation of the Industry in its contacts with Public Officials, Public Authorities, other Trade Associations and Professional Bodies. The SEAISI was incorporated in Shah Alam, Malaysia. 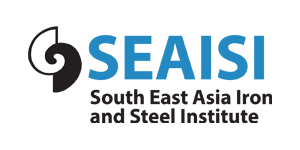 SEAISI is a technical institute whose main objective is to promote the iron and steel industry in the South East Asian region. It achieves its objectives by facilitating technology transfer from around the world, especially from Australia, Japan, Korea, and Taiwan. SEAISI has a large membership base, with members coming from all parts of the world, including leading steel companies and material suppliers and equipment suppliers.